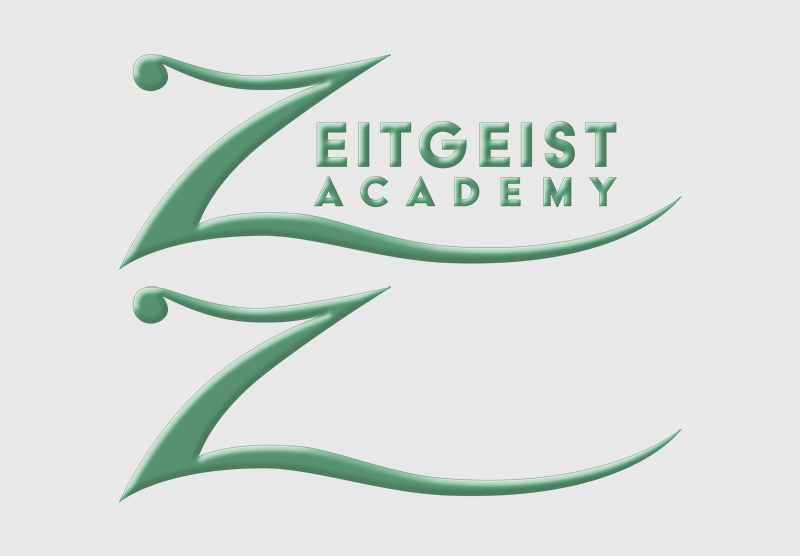 Zeitgeist Academy was founded to educate and support people at all stages of their musical journeys; teaching them to understand that all music is relevant, and everyone can make it. The company offers lessons, jam sessions – to name a few of her offerings – all centered around various musical endeavors. Company founder Morgan says, “Music isn’t made in a vacuum. 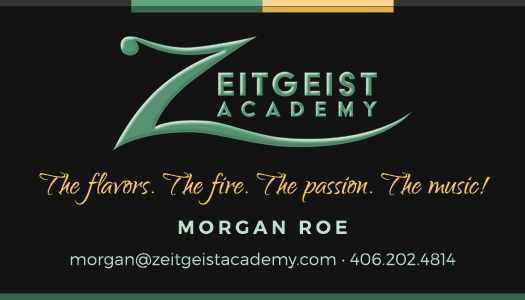 It is created with purpose, and understanding its original zeitgeist will connect you with that purpose.” She came to me with a need for a logo design, business cards, and design advice (design consultation). Morgan had a very definite idea of what she wanted. She sent me some ideas she and a friend had sketched out one night while chatting about the idea for this business, and I worked up four other ideas… although we both kept going back to the original idea. Through our mutual collaboration, we ended up with the “Z” logo you see on this page. Her signature colors are green, gold, and black. 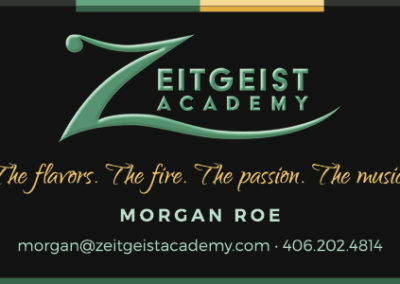 Next I designed some business cards for her, and a cropped version of her “Z” for her social media. Along the way I helped her out handouts for some of her classes and workshops. She’s also been working up a lot of her smaller social media pieces, occasionally contacting me for design consults on those pieces, which I gladly provide for her.